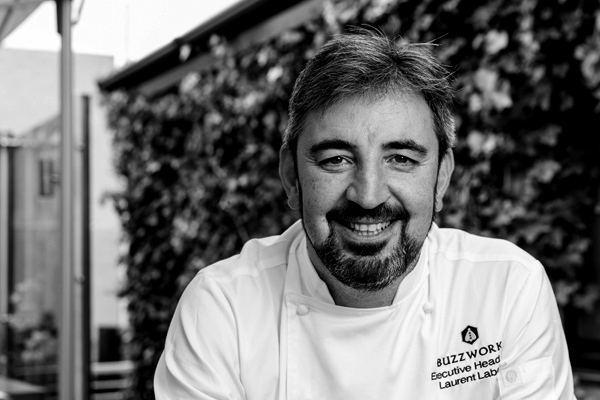 Laurent loves being a part of the Buzzworks team and always coming up with new ideas and inspirations for the menus at both Lido and Elliots. He is well-traveled and puts an international twist on the menus. Laurent is from France and was classically trained as a chef by his dad. He then went on to Italy, Germany and Tahiti (this was a large influence on his passion for seafood). Laurent is still a keen traveler and enjoys his holidays around trying new foods. He’s been to Vietnam and India the past two years and loves the Asian style of food. I believe people fall in love with food for many reasons. For me it brings people together at the table where all the stories, gossip, and plans for the future happen. The love of food is so important and food is a key part of spending time with my family – you never stop learning.